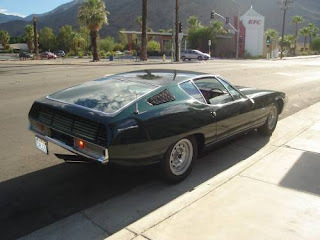 I've read about this car in the past, seen a few pictures of it, but I had no idea it still existed. "It was never intended that the Bertone Jaguar Pirana would make it to production, it being manufactured exclusively as a concept for display at the 1967 Earls Court Motor Show. By the third week in April the basic design had crystallized, Sir William Lyons agreeing to sell the Telegraph a 2-plus-2 E-Type Chassis. - Then, after a record minimum of letters (two each way), Nuccia Bertone agreed to design and build the coachwork, promising to complete the job in time for the London (18th to 28th October) and Turin (1st to 12th November) motor shows. 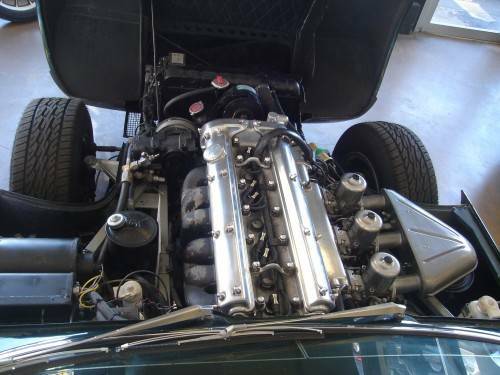 Being a prototype, the Pirana was heavier than the E-Type, which resulted in a small performance loss when compared with the donor car. - That said, there were plenty of other companies prepared to assist with the cars development. Triplex supplied special Sundym glass which featured a thick vinyl interlayer which increased flexibility and resistance to penetration, with both the windscreen and rear window (which was hinged at the top to give access to the luggage space) being heated by wires laid in the interlayer. Smith's Motor Accessory Division played a big part in the luxury side of the original concept, their assistant chief engineer for special products Brian Bishop making many journeys to Turin during the construction of the car. - The result was the development of a special heating and air-conditioning system that used a refrigerator which cooled and de-humidified all air - whether it is needed for cooling or heating. - It also featured one of the original climate control systems, using only two controls for the selection of temperature and blower speed. - Using the principle that warm air rises, and cool comes down, heated air travelled forward along ducts let into the door sills from the heater unit behind the seats, while cool air was distributed throughout the car via a perforated distributor mounted to the roof. A radiomobile set was linked to Smith's latest tape-recorder and player - the first such unit to use cassettes. - Forward thinking safety items included seat-belt reminder lamps and audible warnings, along with speed limit warnings. 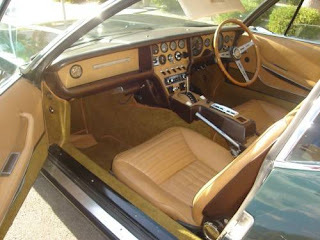 - Inside the Bertone Pirana was functional, the E-Type steering wheel being carried over and giving a clue as to the origins of the car. The seats were upholstered in top-grade Connolly Anela hide, and special Britax seatbelts were fitted which used webbing to match the upholstery. Amazingly the Pirana was finished in time, a true tribute to the people concerned with its development. 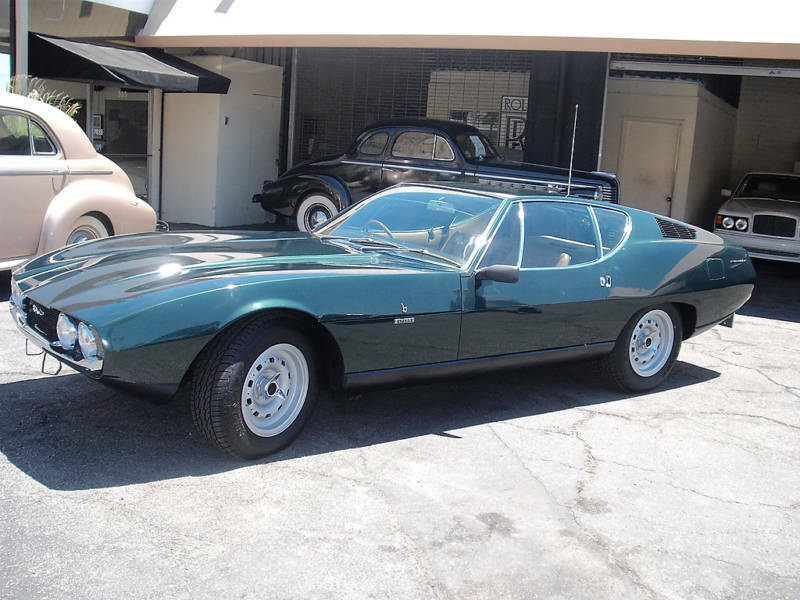 Much of the design work was carried out behind closed doors, by only Nuccio Bertone and his chief stylist Marcello Gandini. - They found time to develop a clay model which was modified many times before they were happy with the result. - Then came full size and to-scale drawings, followed by a full size mock-up (done largely in wood) but using clay for the critical surface areas. Then came the conversion to steel and alloy panels. While many were responsible for the cars development, special mention should be made of the main players, Bob Berry (then Jaguar executive director in charge of group publicity), Enzo Prearo (Bertone's commercial manager), Brian Bishop (Smith's assistant chief engineer in charge of special products), John Anstey (editor of The Daily Telegraph Magazine), and of course Nuccia Bertone and Marcell Gandini, Bertone's chief stylist." The car looks a lot like the Bertone / Gandini designed Lamborghini Espada. It's just beautiful. Imagine if jaguar had actually produced this. Located in Palm Springs, CA, click here to see the eBay listing.